Grubber gun batting sensation Michael Kenneady powered Ocean Grove A1 to a six-wicket victory over arch rivals Collendina in their Round 11 one-day clash on Australia Day. A1 leaders Ocean Grove (54 points) defeated Collendina with four overs to spare to finish at 4/138 and has a nine-point gap on Anglesea and Barwon Heads, in second and third, both on 45 points. The Grubbers reduced the Cobras to 7/135 from 40 overs after they won the toss and batted first. Kenneady, who guided the Grubbers home with 65 not out at Collendina, is in a rich vein of form with scores of 53 not out, 30, 100, 133 not out from his past four knocks. Kenneady, 34, has had a fruitful 2018/19 campaign with 455 runs at 75.83 and was unavailable for the first two rounds, is the BPCA’s third leading run-scorer in A1 this season. 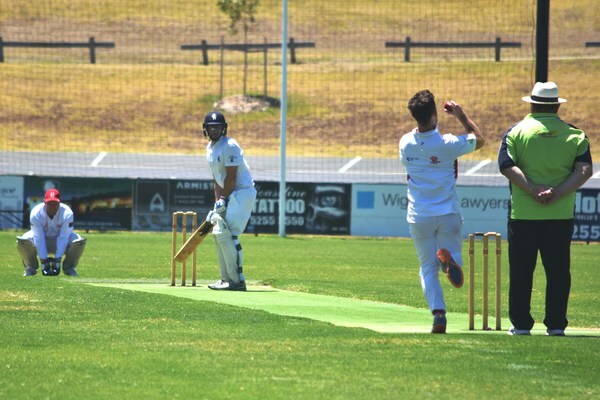 “He (Kenneady) is going well for us – I am happy for him to keep on going the way he is,” said Anton Scholtz, Ocean Grove Cricket Club A1 fill in captain and club assistant coach. “He goes about his own business, probably one of the good things when you are batting really well, he is pretty busy with (his outside) business, so that takes his mind off his game. Kenneady shared in a third-wicket 59-run partnership with Grubber youngster Fletcher Long, who contributed a fine 35. The Collendina bowling quartet of Dwaine Lancaster (1/13), Nathan Walter (1/24), Craig Goodger (1/30) and Jacob Gasior (1/9) each took one wicket apiece. Earlier Cobra youngster Max Sutton’s unbeaten knock of 51 was a lone highlight for home side. Scholtz credited Sutton’s efforts with the bat though he said it wasn’t a captivating performance by the Grubbers with the ball. 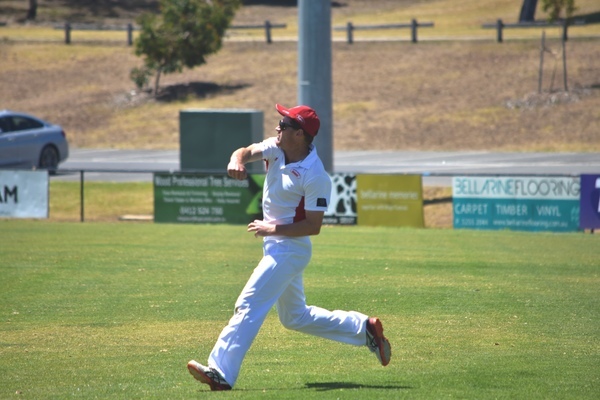 Ocean Grove bowler Lindon Giuffrida was the leading wicket-taker with 3/21 from seven overs. “We bowled okay, we got a couple of early wickets, I was hoping we would restrict them to under 100,” he said. On the flipside, Collendina languishes in seventh spot with 15 points with a 2-7 record after a sixth consecutive loss. 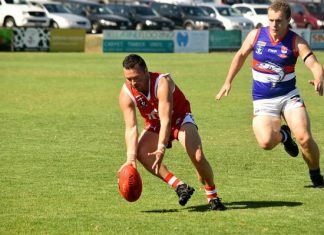 The Cobras are desperate for an A1 victory and will play Ocean Grove this Saturday in a two-day game at Ray Menzies Memorial Oval at Shell Road. IN other cricket, a gallant Collendina A1 lost to Portarlington by one wicket at Portarlington in their one-day clash on 19 January. 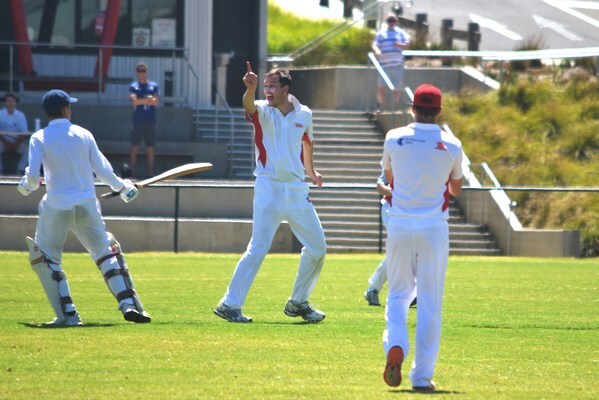 MEANTIME Ocean Grove A1 defeated Barwon Heads by eight wickets in their Round 10 one-day game. IN A2, Wallington’s first XI defeated an Ocean Grove second XI in a nail-biting one-day game at Ray Menzies Memorial Oval at Shell Road by one wicket. Batting first the Grubbers could only manage 8/126 from its 40 overs, in reply Wallington finished at 9/127 from 36 overs. Ocean Grove speedster Dan Roddis who returned from knee surgery, has taken six wickets from his last two matches finished with 3/15 from eight overs against the Wallabies. Grubber team-mate Bailey Le Maistre took 3/19 from eight overs. 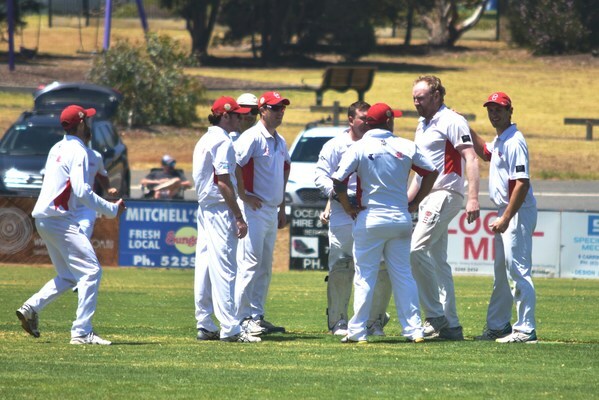 WALLINGTON also defeated Ocean Grove by four wickets in their C2 one-day game at Wallington. Batting first the Grubbers were all out for a paltry 67 from 34 overs. Wallington’s Raghav Mehra was the pick of the bowlers with 4/14 from eight overs. In reply the Wallabies finished at 6/70 and won with 14 overs to spare. OCEAN Grove defeated Portarlington in their D Grade one-day clash by 33 runs at Ocean Grove Memorial Recreation Reserve. Grubber William Finn led the way with an unbeaten 66 in the home side’s total of 8/133 from 40 overs. In reply, Portarlington were all out for 100 from 37 overs with Ocean Grove bowler Trent Lowe finishing with 3/24 from eight overs.